When our good friends announced the news of expecting their second baby we were overjoyed. They are already blessed with their very spunky toddler and now have another little girl to add to their family. It was fun to follow along the progress with my camera. 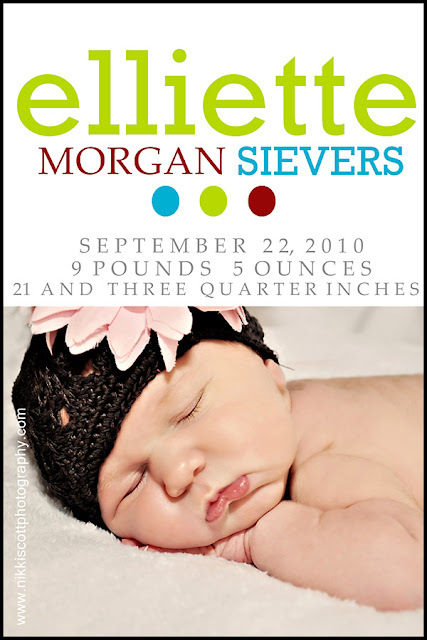 From maternity shots, see them here to the hospital visit and now the first newborn photo session. Welcome to the world Little Miss Ellie! I know time will go by so fast and before we know it she will grace the blog with her 1st birthday session. Hey; I have three kids....I know how fast it goes. Enjoy every moment with your bundle of joy. Congrats you guys! !